The Internet, still in its early phases, is seeing a dramatic increase in the number of users. Unfortunately, this growth has also seen an increase in the number of cyber criminals and attacks against websites. The latest major attack was perpetrated against LivingSocial. If you have an account with this website, you may want to pay attention. LivingSocial is a daily deals website that focuses on bringing bargains and original deals to users based on their geographical location. In late April, news broke that the website had suffered a massive cyber attack with 50 million accounts being compromised. The company assured users that their credit card data had not been compromised, as they are kept in another database. Account passwords were also encrypted, which means they are harder to crack but not impossible. Going to LivingSocial’s forgot your password page. Entering the email address you used to sign up for the account with. Checking your email for an email from LivingSocial and following the instructions in the email. It is advisable to pick a new password, one that is as different as possible from your old password and, as always, the longer, the better. Is there anything I can to do protect my company? If you are a business owner who has websites that encourage customers to sign up for updates, accounts, etc. you may be wondering how you can keep your user’s information secure from cyber attack. In truth, you can’t keep your important information 100% secure, if a hacker is committed enough, they will be able to get the information they need or wreak the havoc they want to. But what you can do is to make it as hard as possible for cybercriminals to get your information. This could be as simple as using multiple databases to store different bits of information, or as complex as using the latest encryption methods and systems. 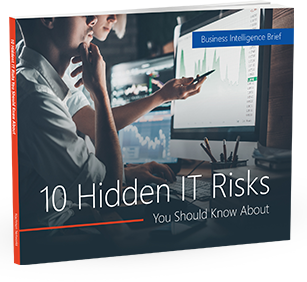 Each business is unique, and the best way to ensure your valuable data is secure is to work with an IT partner who takes the time to get to know your security needs and develop a solution that is as near to 100% secure as possible. If you are worried about the security of your systems, contact us today. We may have the perfect solution that will meet your needs and budget.